In the wake of controversy in Afghanistan and ongoing debate about U.S. military activity, lots of readers are talking about whether it's time to bring the troops home. Many answered the question we posed: Is it time for America to leave Afghanistan? Many of our readers said they were opposed to the war and wanted to bring the troops home. Joanne Ciccone of Charlottesville, Virginia, says there are many Afghan tribal units fighting with each other, and it's hard for Americans to try to police that. 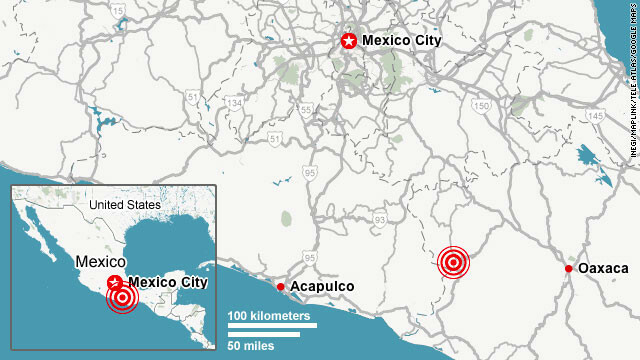 A 7.6-magnitude earthquake struck near Ometepec in the Guerrero region of Mexico on Tuesday. Are you there? Please send us your photos, videos and stories. [Updated at 4:00 p.m. ET] The U.S. Geological Survey has again revised the magnitude of the Mexican quake, down to 7.4. [Updated at 3:29 p.m. ET] Though the epicenter was about 175 miles from Mexico City, earthquakes are a frightening experience for the city's more than 20 million residents of Mexico City. About 10,000 people perished in a massive quake in 1985. [Updated at 3:17 p.m. ET] Local authorities in Guerrero state have reported aftershocks, while residents in Oaxaca and Guerrero states and the eastern state of Veracruz reported that phone service had been knocked out in their areas. [Updated at 3:12 p.m. ET] Pascal Clemens, a businessman in Acapulco, says he has lived in the city for 17 years, and Tuesday's earthquake was in the top five of those he's experienced in that time. It was "a pretty strong one," he said. Footage in Mexico City showed people milling around outside office buildings moments after evacuating. A magnitude 6.2 earthquake struck Papua, Indonesia, on Tuesday, according to the U.S. Geological Survey. The quake was 66 kilometers (41 miles) deep, the USGS said. 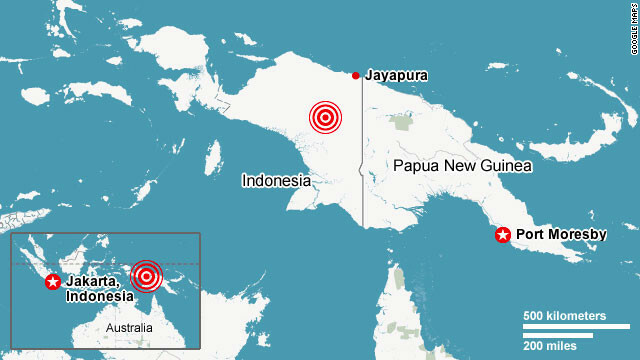 Its epicenter was 154 kilometers, or 96 miles, south-southwest of Jayapura. The death of Trayvon Martin, an unarmed teen who was shot while walking in his neighborhood in Sanford, Florida, has sparked allegations of racial profiling and calls for the gunman to be charged. Federal prosecutors and the FBI will investigate the incident. George Zimmerman, the neighborhood watch volunteer who has acknowledged shooting Martin, has not been charged and says it was self-defense. Martin, 17, was killed while walking to his father's fiancee's house in Sanford from a nearby convenience store. Zimmerman first called police at 7:09 p.m. ET with concerns about a suspicious teen in the area, according to 911 tapes released by the Seminole County Sheriff's Department. A 16-year-old girl who was on the phone with Martin most of the day last spoke to him around the time the incident allegedly began and lasted until 7:16 p.m. ET, when the call dropped. Almost immediately, 911 calls began coming in. Police arrived on the scene at 7:17 p.m.
Several witnesses called 911 at 7:16, 7:17, 7:18 and 7:19 p.m. ET. Zimmerman: "A dark hoodie, grey hoodie, jeans or sweatpants or white shoes. He's walking around staring at the houses. Now he's just staring at me." Zimmerman: "Go straight in. Oh, s***. He's running ... down towards the other entrance of neighborhood." Dispatcher: "He's running? Which way is he running?" Zimmerman: "Down towards the other entrance to the neighborhood." 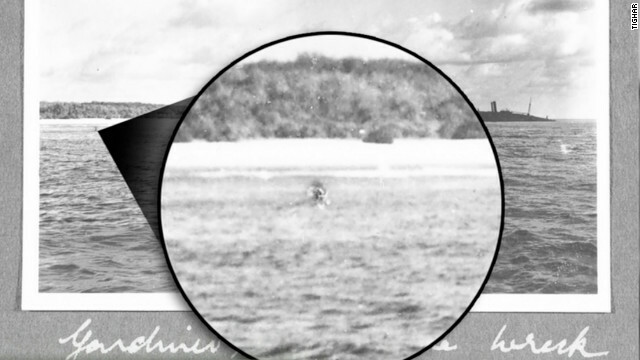 Dispatcher: "Which entrance is that, that he is running towards? Dispatcher: "Are you following him?" Dispatcher: "OK. We don't need you to do that. What's your name?" Dispatcher: "Do you want to meet with the officer ..."
Zimmerman: "Tell them to come past the clubhouse and make a left then past mailboxes and they will see my truck ..."
Dispatcher: "What's your apartment number?" Zimmerman: "It's a home. ... I don't want to give that out. I don't know who this kid is." Dispatcher: "I will let them know where to meet you." Zimmerman: "Have them call me, and I will let you know where I'm at." Iran and the United States rang in the Persian new year Tuesday with distinctly different messages for the Iranian people. President Barack Obama slammed the Islamic Republic's crackdown on electronic communications and Ayatollah Ali Khamenei warned that Iran would not hesitate to strike back in the event of an attack on the Islamic republic. The beginning of the year 1391 took Khamenei to the massive Imam Reza shrine complex in the eastern city of Mashhad, where thousands jammed the mosque to hear the nation's supreme leader. Khamenei denied Iran has nuclear capability or that it is trying to develop atomic weapons. But he warned that Iran will defend itself if the United States or Israel attacks - words that only increase anxiety in Iran's nuclear showdown with world powers. Ali Abdullah Saleh is no longer Yemen's president, but he is still wielding political clout as the head of the ruling party. Saleh has threatened to withdraw all members of his party from the national government and warned the prime minister he could face imprisonment. Protesters took to the streets in mass demonstrations over the past year, calling for Saleh's departure from office. He finally stepped down last month in exchange for immunity in part of a power transfer deal brokered by the six-nation Gulf Cooperation Council. However, he remains president of the ruling General People's Congress party. Tension has escalated between Saleh and the new regime after new President Abdu Rabu Mansour Hadi said he was planning major reforms, said Yahya al-Arasi, Hadi's spokesman. Prime Minister Mohammed Saleh Basendowah recently attended a ceremony at Change Square in Sanaa and condemned the old regime's attacks against unarmed youth protesters. The square was the base of the protests that erupted last year against Saleh's rule. As a result, Saleh threatened to imprison Basendowah if he does not listen to his orders, al-Arasi said. LZ Granderson says he's glad for apologies by President Obama, such as for the unintentional burning of Qurans in Afghanistan. 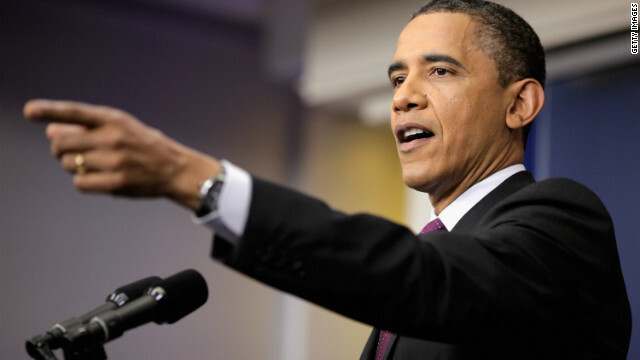 Is President Barack Obama a weak president? Opinion writer LZ Granderson explored that question in a typically pointed article. Granderson took the position that the president's apologies are appropriate and helpful, but some of our readers would disagree. These readers indicated they feel the president is hurting our position internationally. Others spoke in Obama's defense. This reader suspects the president may not feel motivated to act in the country's best interest. Probity: "There is a difference between apologizing and groveling. Apologizing was absolutely the right thing to do. It should be done in a way that is sincere yet commands respect. Obama is subservient when dealing with other nations leaders. That is the problem and not the apology itself. Obama isn't American at heart. And no, I am not a birther. I don't care what his birth certificate says. He spent much time as a child outside the U.S. and some would argue that it gave him experience but it is obvious that it gave him a negative opinion of America. His associations, his wife's comment about being proud of America for the very first time, his refusal to participate in several patriotic events and abasing himself when dealing with other nation's leaders show his true colors." Primewonk: "Obama is NOT subserviant when dealing with other world leaders. Not sure where you guys get this. By stating that Obama is not an American 'at heart' you demonstrate profound ignorance. He spent four years living outside the country starting when he was 6. I seriously doubt you would make this claim about other young children. My father was in the military. I lived in other countries from first to third grades. Does this make me not an American at heart? Face it, you tea baggers are still upset that a smart well educated black man won the election." A spate of car bombings rocked Iraq on Tuesday, the ninth anniversary of the U.S. invasion and days before the nation hosts a meeting of Arab leaders. The violence left at least 41 people dead and 190 wounded, officials said. No one immediately claimed responsibility for the blasts that one senior Interior Ministry official described as "coordinated" and blamed on al Qaeda in Iraq. Five members of the University of Southern Mississippi pep band have had their scholarships revoked and have been removed from the band after they yelled a derogatory chant at a Puerto Rican player during an NCAA basketball tournament game last week. The school announced the disciplinary action in a statement Tuesday, saying the five "have been forthcoming, cooperative, contrite and sincerely remorseful." "They acted rashly and inappropriately, and now see the gravity of their words and actions," Vice President for Student Affairs Joe Paul said. "This is a teachable moment, not only for these students but for our entire student body and those who work with them." 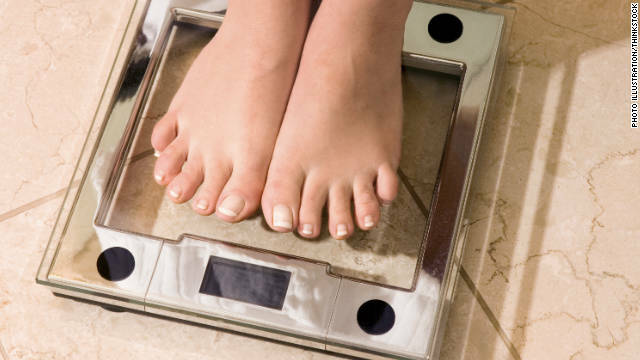 The students will also be required to complete a two-hour training course on cultural sensitivity, the school said. TV cameras captured the incident during the University of Southern Mississippi-Kansas State University game at the Consol Energy Center in Pittsburgh on Thursday. As Kansas State point guard Angel Rodriguez shot free throws, several people could clearly be heard chanting, "where's your green card." The race to the Republican presidential nomination heads to Illinois today, where 54 delegates are at stake. Watch CNN.com Live tonight for results and reactions from the Illinois primary. 9:30 am ET - Gingrich in Louisiana - GOP presidential candidate Newt Gingrich is spending primary day in Louisiana, where he will meet with voters in Shreveport. He'll also hold a town hall-style meeting in Ruston. Heavy rains threatened to inundate sections of the central and southern Plains Tuesday - a day after a suspected tornado from the same slow-moving system touched down in south-central Texas. The National Weather Service has issued a flash flood watch for sections of Texas, Louisiana, Oklahoma and Arkansas. Severe thunderstorms are forecast across much of the same area. By Wednesday morning, accumulations up to 10 inches of rain are expected in northeast Texas and southeast Oklahoma, up to 8 inches in southwest Arkansas, with 4 to 5 inches being common across the rest of the watch area, forecasters said. Severe weather raked the heart of Texas Monday evening, with a suspected tornado touching down near Natalia, a town of about 1,400 residents. The Medina County, Texas, Sheriff's Office said it received more than 300 calls about damages or injuries. King Hamad bin Isa al-Khalifa of Bahrain is expected Tuesday to receive a report on the implementation of recommended changes to the Middle Eastern state's laws and security forces in the aftermath of unrest last spring. In November, Bahrain's Independent Commission of Inquiry issued a report that was highly critical of the authorities' reaction to the protests, which began in February 2011 - spurred by uprisings in Tunisia and Egypt. The demonstrations failed to gain the traction of other Arab Spring uprisings following a crackdown by the authorities in the island state - backed by troops from nearby Saudi Arabia and the United Arab Emirates. The independent commission, set up by the king, concluded that the police had used excessive force and torture in their response to the protests. 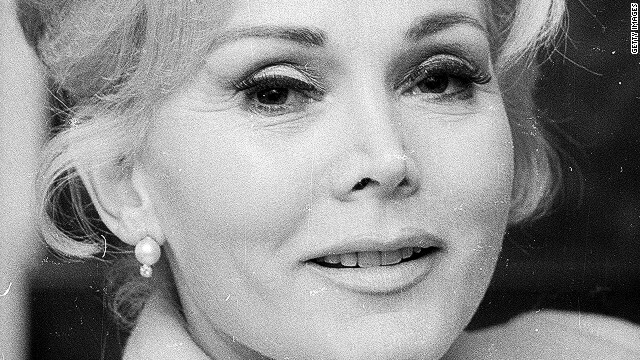 Francesca Hilton, Zsa Zsa Gabor's daughter, is asking a judge to appoint a conservator to oversee the 95-year-old actress's finances and medical care. The Hungarian-born actress was once one of Hollywood's most glamorous women, but a broken hip and leg amputation in the past two years have left her confined to a bed. "What Ms. Hilton is seeking here is for the court to make sure that Zsa Zsa's best interests are not being sacrificed for the selfish interests of anyone involved in Zsa Zsa's life," her lawyer, Kenneth Kossoff, said. A conservatorship petition that Hilton's lawyer said he will file in a Los Angeles court Tuesday contends that Gabor's ninth husband, Prince Frederic von Anhalt, is keeping her "increasingly isolated" and "heavily sedated." The filing questions von Anhalt's handling of Gabor's finances, saying he recently borrowed against on Gabor's $10 million Bel Air mansion, but the house is in foreclosure after several missed mortgage payments. The bodies of the four victims of the Jewish school shooting in France will be flown to Israel for a burial. "The government of Israel has decided to transfer the coffins to Israel as soon as possible, with the cooperation and assistance of Israel's representatives in France," the Israeli foreign ministry said in a statement. Authorities did not say when the bodies would be transferred. Meanwhile, representatives from France's Jewish and Muslim communities will meet with President Nicolas Sarkozy on Tuesday, when a moment of silence is planned to remember the victims. The country's southwest region remained on the highest possible security alert level, after a teacher and three children were gunned down at the Jewish school in Toulouse on Monday. The teacher was shot dead with his two children, and the daughter of the school's director was killed in front of him. 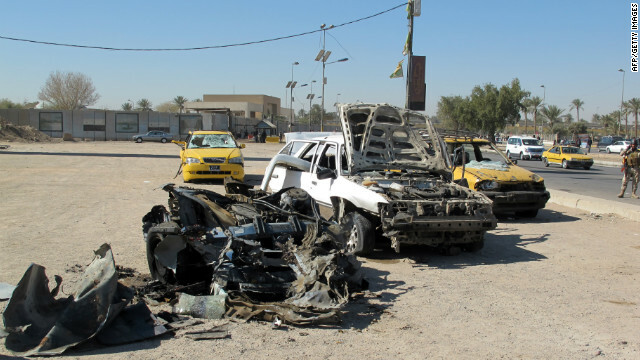 Destroyed vehicles at the site of a car bomb set off by a suicide attacker in the center of Baghdad on Tuesday. A spate of car bombings rocked Iraq on Tuesday, on the the ninth anniversary of the U.S. invasion of Iraq. The violence left at least 10 dead and 59 injured in Baghdad, Hilla and Kirkuk. In central Baghdad, a suicide car explosion killed at least two people, police said. In Kirkuk, a multi-ethnic city about 300 kilometers (186 miles) north of Baghdad, three separate car bombings killed eight people. And in Hilla, about 100 kilometers (62 miles) south of Baghdad, another car explosion injured seven people. Iraqi officials have expressed concern that the continuing violence could cast a shadow as Iraq prepares to host the next Arab summit on March 29. The government said last month that logistical and security arrangements had been agreed upon for the event. The attacks on Tuesday come nine years to the day that a U.S.-led army invaded Iraq on March 20, 2003, toppling longtime dictator Saddam Hussein. Federal prosecutors and the FBI have opened an investigation into the killing of an unarmed teen by a neighborhood watch volunteer in Florida. The death drew protesters Monday to the courthouse in Seminole County, north of Orlando, to demand justice for Trayvon Martin, the 17-year-old who was shot and killed last month while walking back to his father's fiancee's house in Sanford. The African-American teen's parents said Monday that they believed race was a factor in their son's death, and the Congressional Black Caucus had called for a federal investigation, saying local police have shown "blatant disregard for justice." Late Monday, the Justice Department said it would dispatch officials to Sanford to investigate and "to address tension in the community." "The department will conduct a thorough and independent review of all of the evidence and take appropriate action at the conclusion of the investigation," Justice Department spokeswoman Xochitl Hinojosa said in a written statement. "The department also is providing assistance to and cooperating with the state officials in their investigation into the incident." An international judge has resigned from the special court set up in Cambodia to try people accused of committing atrocities under the Khmer Rouge in the 1970s, saying his Cambodian counterpart was obstructing efforts to investigate cases. The resignation by Laurent Kasper-Ansermet, announced Monday, is the second departure of an international judge from the court in the past six months amid tensions with local officials. His predecessor, Siegfried Blunk, resigned as international co-investigating judge in October, complaining that statements by Cambodian government ministers about two of the court's cases threatened to undermine proceedings. Those same two cases, known as Cases 003 and 004, are at the heart of the dispute between Kasper-Ansermet and You Bunleng, the national co-investigating judge for the court. "Judge You Bunleng's active opposition to investigations into Cases 003 and 004 has led to a dysfunctional situation," Kasper-Ansermet said in a statement attributed to him on the court's website.